Hours: 5 to 7 p.m.
All are welcome! Campers are invited to decorate their sites. Vehicle traffic through the campground will not be permitted from 5 to 7 p.m.
All campers and the public are welcome! Each year, Emmet County Parks and Recreation invites the public and campers to a free pancake and sausage breakfast on Father’s Day, at Camp Pet-O-Se-Ga. 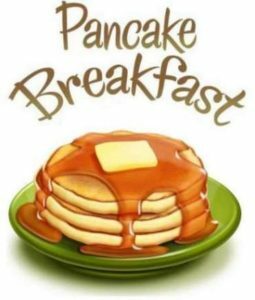 The 2018 breakfast takes place from 9 to 11 a.m. on Sunday, June 17, at the Alanson campground on Pickerel Lake. There is no charge for the breakfast, and both campers and the general public are invited to enjoy breakfast at the Rec Hall.